Closing Day-The Great Golden Pumpkin! Find the golden pumpkin and win a free bag of donuts! Oregon Outlaws 4-H Club is bringing ponies and offering Pony ride for kids ages 2-8 year old (75 pound weight limit) to raise money for their local 4-H club! Parents must sign release form. Book your mini session with Katie today! 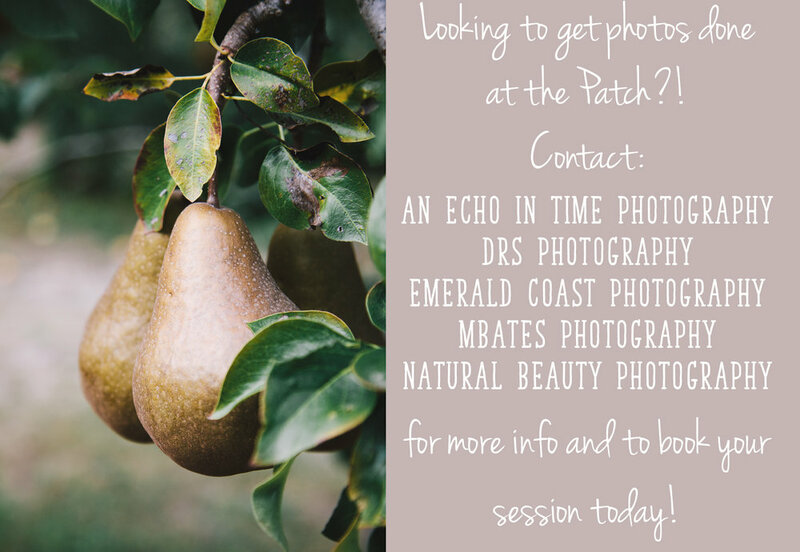 Schedule your session with Dani today! Book your Mini Session today! $30 per person includes your pumpkin, flowers, instructor, donuts, fresh apple cider and a hay ride! Workshop is planned for an hour and a half. Preregister through the link below, we will send you an invoice for pre payment. You must pay the invoice to secure your spot!! (no refunds, if you are unable to make it, you can make arrangements to fill your spot) Limited class size, so register and pre pay today! Book your session with Angela today! Enjoy some delicious food at the Patch! Yum! They will be here Friday-Sunda 10-6! Come out and enjoy some delicious food from ElkHorn!